Nothing quite conveys chic opulence like the elegant bloom of an orchid – and this effect is modernized and given a contemporary appeal with the gorgeous vibrant pink flower in our Luxury Pink Orchid display. A colour that can’t fail to draw the eye, it is ideal for anyone who wants the classic allure of an orchid, in a vivid and striking hue. The orchid is famous for being one of the largest of flowering plants, and will certainly be a dazzling addition to any home. 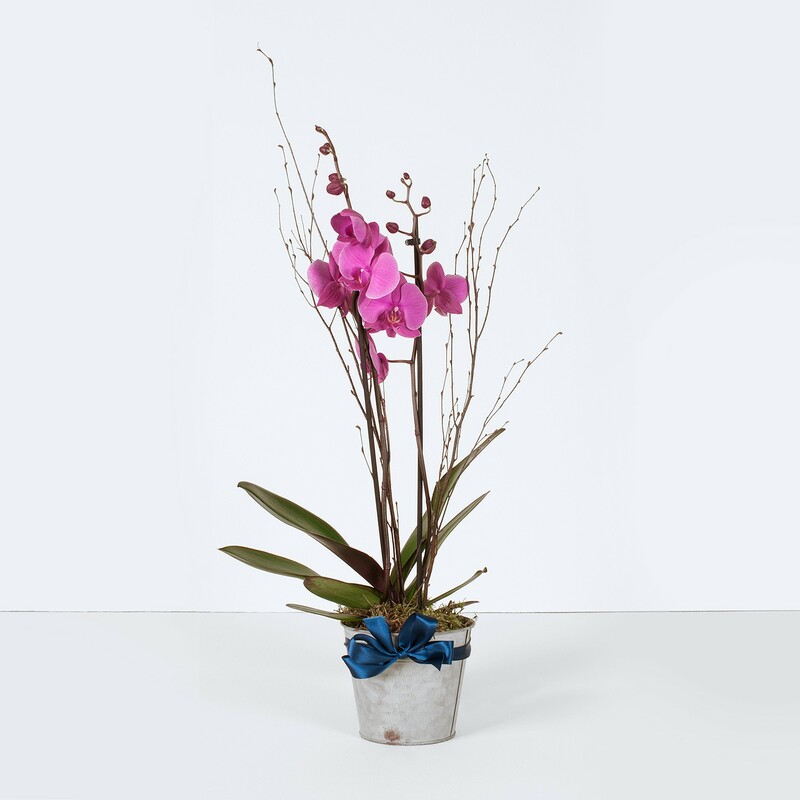 Orchids are also known for their lovely fragrance, so it’s no wonder they’re so popular for gifts, or to enliven a room.